These past two weeks have flown by! I can’t believe how fast Cameryn is changing! Week two was a hard week. I was a total zombie. I couldn’t sleep, barely had time to eat and was running on empty. 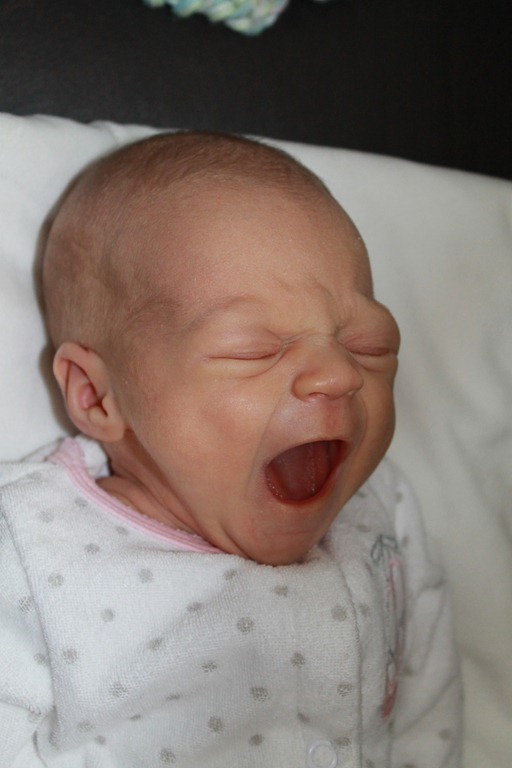 We decided to let the baby sleep in our bed with us this week and towards the end was when I started getting some sleep during the night. We didn’t set out to have the baby sleep with us, but it was the only way to get her to sleep a little bit since she refuses to sleep in her co-sleeper at night. During the day she’ll sleep peacefully in it, but at night she just wants to be snuggled next to her mom. Cameryn went on her first outing during this week as well. 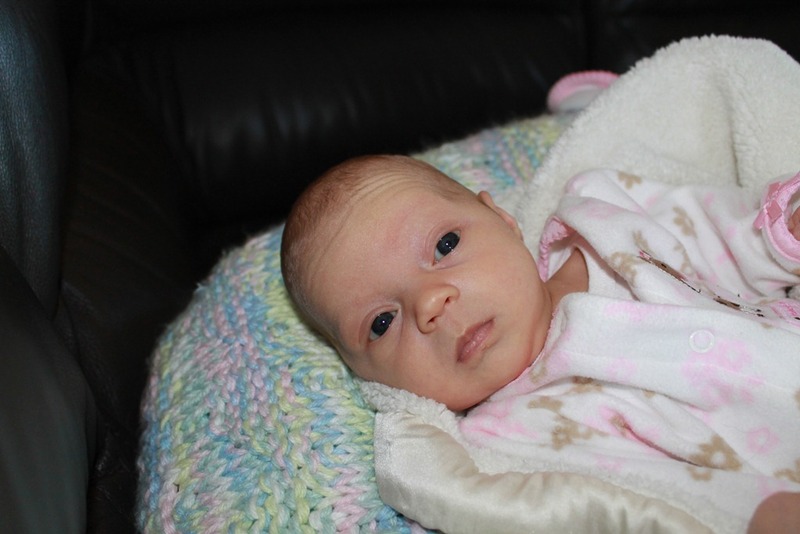 Cameryn became more aware this week opening her eyes and staying up a little bit during the day. She was labeled the worlds slowest eater this week as well. It typically takes us an hour for each feeding as she like to eat, doze off then eat again. Cameryn also started tummy time this week. 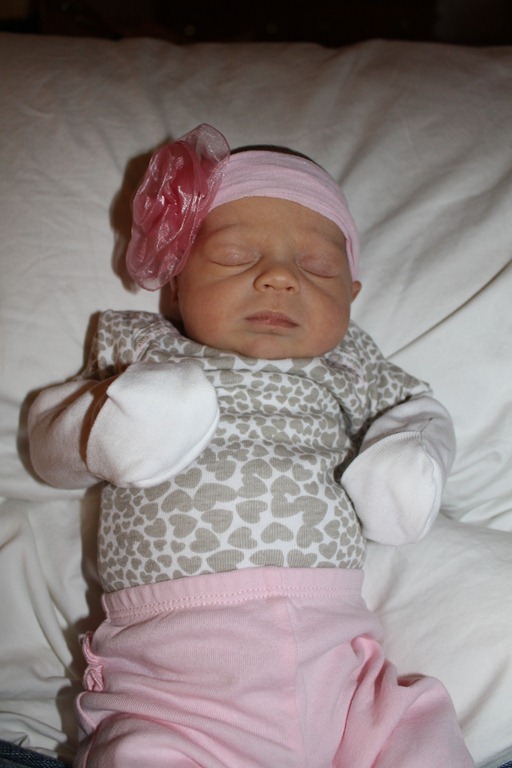 She is so strong for such a little peanut and has great control over her neck already. 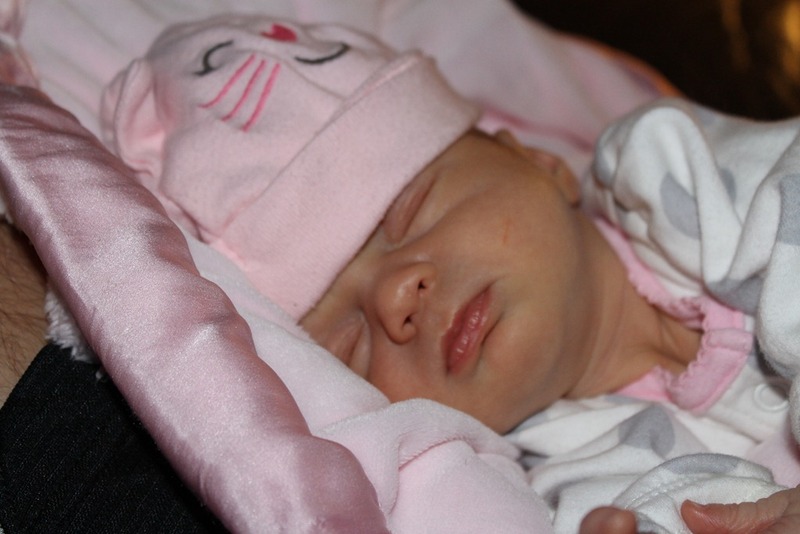 What I’ll remember most from this week: Finally getting her able to sleep a bit at night so Keith and I can get some sleep! 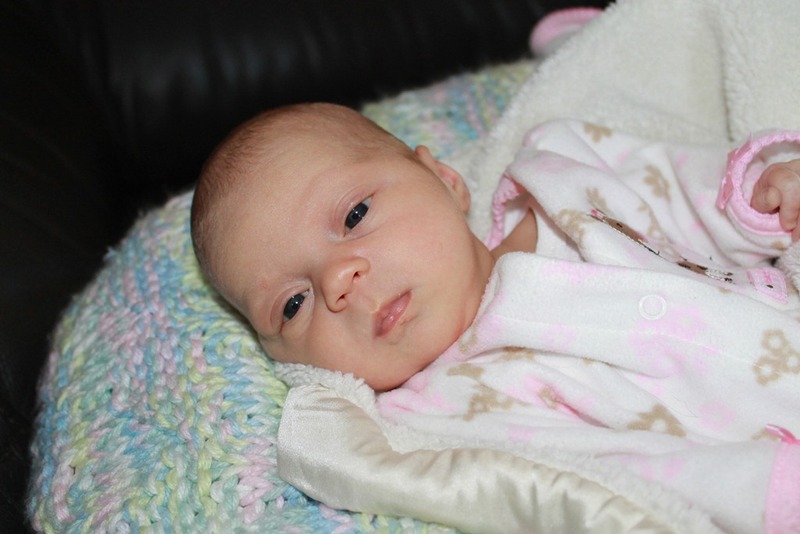 Week three was a fun one as Cameryn continues to grow and get more alert each day. 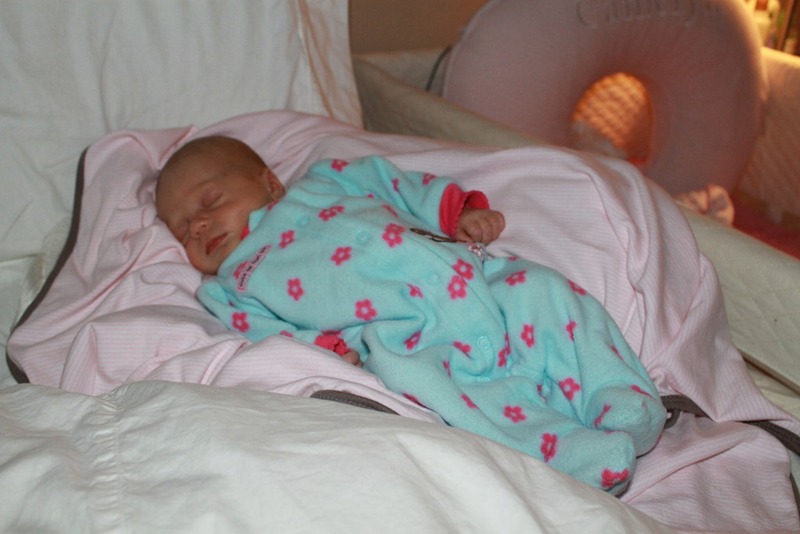 I think I’m going to have to start putting some of her newborn clothing in a bin for storage as she is getting so long she can hardly fit in some of her newborn jammies. Time is going by way to quickly but I am happy she is putting on weight, quite rapidly now! 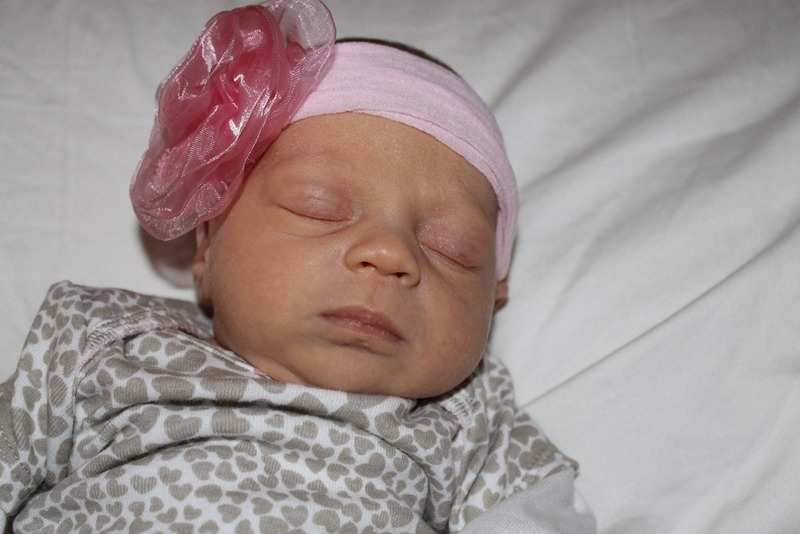 Cameryn went of her first walk this week and also went on many outings during the week. She is great in the car and sleeps while I’m at the stores. Cameryn got a light weight stroller this week, thanks Grandma, for Valentines day which is making my life so much easier. It is super light weight and is the same brand as our other stroller and car seat. It makes shopping and running errands so much easier and I can handle it with just one hand. Some carts are too small for her car seat so I have to carry her car seat through the store while shopping. Luckily my mom is here so she was able to push a cart too. There is no way I’d be able to carry a car seat and either push a cart or carry a basket at the same time so the stroller is such an awesome addition to her baby stuff and will make my life so much easier! I have been sleeping better this week than the pervious weeks since we’ve come home form the hospital. Although I’m still tired, I’m able to actually function during the day and get some things done during the day. What I’ll Remember Most from this Week: How alert she is becoming. She now stays up for a few hours every morning when we try and play and do tummy time. 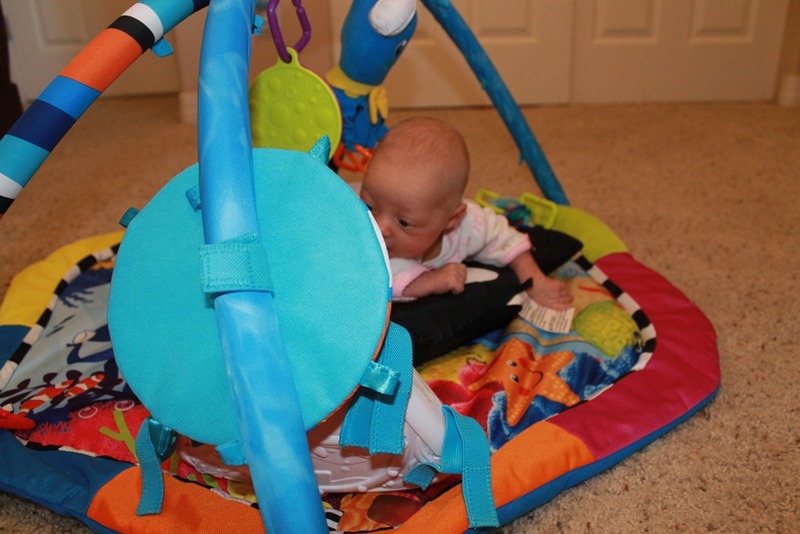 Lots of activities to help her brain development and her to grow.